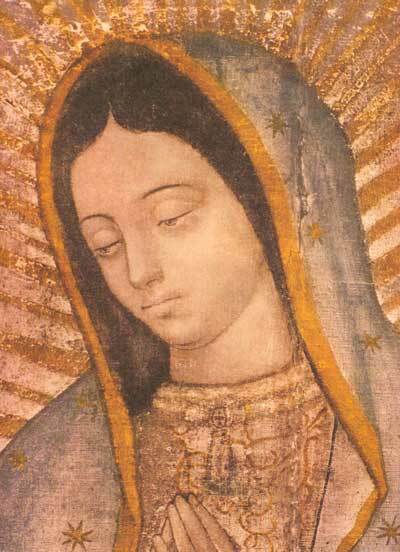 Know and be certain in your heart my most abandoned son, that I am the Ever-Virgin Holy Mary, Mother of the God of Great Truth, Teotl, of the One through Whom We Live, the Creator of Persons, the Owner of What Is Near and Together, the Lord of Heaven and Earth. I will show and give to all people my love, my compassion, my help, and my protection, because I am your merciful mother and the mother of all the nations that live on this earth who would love me, who would speak with me, who would search for me, and who would place their confidence in me. … I will hear their laments and remedy and cure their miseries, misfortunes, and sorrows. Reblogged this on Interrupting the Silence.